The Vaccines have had an incredible run in 2011, and it is only going to continue as they are set to release yet another song 'Tiger Blood' on December 4th. Wetsuit/Tiger Blood will be available on 7" as well as a download as part of a new double A Side single. Albert Hammond Jr from The Strokes helped produce this song at his studio in upstate New York. While only hearing this song from live versions so far, the studio version is going to be incredible. 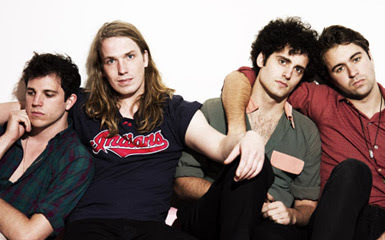 The Vaccines offer such a fun sound and in Tiger Blood there is some raw energy that will make this track work. Check out below the bands live performance of 'Tiger Blood' at this years Reading Festival along with the official video for 'Wetsuit'.